Melissa Spiess is the founder and owner of Living Spirit Therapy Services, LLC, which has been serving the Twin Cities metro since 2008. She received her Bachelor of Arts from Lake Forest College, and music therapy equivalency degree and Master of Music in Music Therapy from Western Michigan University, where she completed her master’s thesis A Survey of Financial Aspects, Staffing, and Service Trends of Music Therapy in Hospice Programs. She worked in inpatient and home hospice, oncology, and eating disorders units at Methodist Hospital, and the Struthers Parkinson’s Center as part of her American Music Therapy Association 1,040-hour music therapy internship with Park Nicollet Health Services in Minneapolis, MN. Melissa received several awards and scholarships during her training. Melissa has worked as a board-certified music therapist since 2003. She has been a Fellow in the Academy of Neurologic Music Therapists since 2008 and has also received advanced training in hospice music therapy, work with the elderly, neurologic rehabilitation, drumming, and early childhood music education. She is a member of the American Music Therapy Association, Music Therapy Association of Minnesota, and Academy of Neurologic Music Therapists. Melissa has provided music therapy services throughout training and professional work with a wide variety of clientele including patients/clients in hospice, transitional care units, long term care, adult and pediatric hematology/oncology, medical/surgical units, and adult day care. She has also treated stroke survivors, and individuals with Parkinson’s disease, sensory impairments, mental disorders, eating disorders, cerebral palsy, fibromyalgia, and dementia. Melissa provided eight years of direct care for people with developmental disabilities and emotional impairments, and has worked in long term care facilities in the Twin Cities. 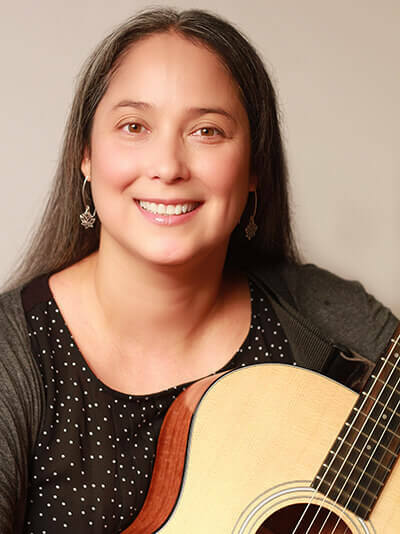 She is a member of the American Music Therapy Association, Music Therapy Association of Minnesota (MTAM), and the Academy of Neurologic Music Therapists. She served as government relations representative for the Music Therapy Association of Minnesota and on the MN State Recognition Task Force for three years. She coordinates the Minnesota Music Therapy Business Owners group (MN MTBO), and actively participates in in the MN Neurologic Music Therapy Support Chapter. Melissa has presented over 40 times locally and nationally on music therapy. Topics of particular interest include music therapy in the treatment of Parkinson’s disease, stroke, patients and families in hospice and palliative care, the holistic needs of the elderly, fibromyalgia, intergenerational programming, and fall prevention. Melissa particularly enjoys working with stroke survivors, people with Parkinson’s disease, and with patients and families in hospice and palliative care. She is routinely amazed by music therapy’s ability to empower clients to improve their quality of life, and by its ability to successfully treat those who have not responded to traditional methods.